By default, most hosting control panels have a built in PHP version switcher. You will often find all the ‘usual suspects’ including PHP 5.2 PHP, PHP 5.3, PHP 5.4 and PHP 5.5. It’s always advisable to use the most up to date version of PHP available, but because many applications, scripts and plugins may not be compatible with the latest PHP versions, the default on your hosting plan is most probably set to use one of the earlier versions. PHP version 5 has been around since 2004 and has seen several major updates during that time. Even today (as of publication date), PHP version 5.6 receives regular minor updates to support those not yet able to upgrade to PHP version 7. Each update brings with it a series of improvements. These improvements bring about better code stability, bug fixes and the all important security updates and patches. 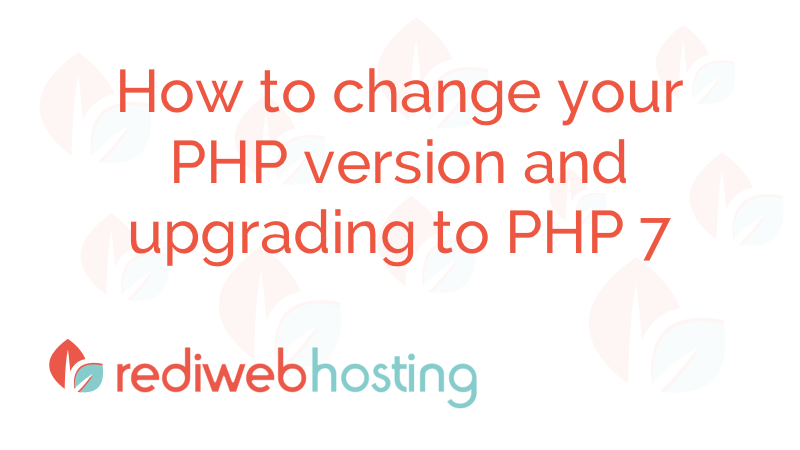 One of the most popular changes is to switch your PHP to version 7. That’s right, there’s no version 6. It did exist as a development version with some long awaited features, but gained a bit of a bad reputation for being a promised update but never making it to a final release. PHP 7 brings with it some great new features for both developers and end users alike. The best part for website owners is the significant improvement in speed. Performance wise, PHP 7 is 2x faster than PHP 5.6. Memory usage has also been optimised, making it a less hungry beast and lifting some of the strain it places upon your servers resources. Before you change the PHP version your website uses, it’s important to check that any applications, scripts or plugins you are using are fully PHP 7 compatible. If you’re a WordPress user, there is a plugin that aims to check the compatibility of Themes or Plugins you have installed. It’s not 100% guaranteed so it’s better to check for compatibility with the developer of any software you use. If you check in your web hosting control panel, you’ll most probably find a built in PHP version switcher, like the one available in our control panel – see below. Several versions of PHP are available to choose from. Just select the version you wish to switch to and click update to apply the change. If you wish to use a PHP version not showing in the version switcher, chances are you can still use it providing your web host supports it. We support PHP version 7 for instance, but it’s not yet an option in the version switcher. To change to PHP version 7, we just need to make an entry in the .htaccess file. UPDATE: PHP Version 7 is now available directly in our PHP version switcher. Start by opening the File Manager from withing your web hosting control panel. Outside of the public_html folder, you may already find you have a .htaccess file. If not, you can easily create one by adding a new file and naming it correctly. It is important to include the dot before the name. 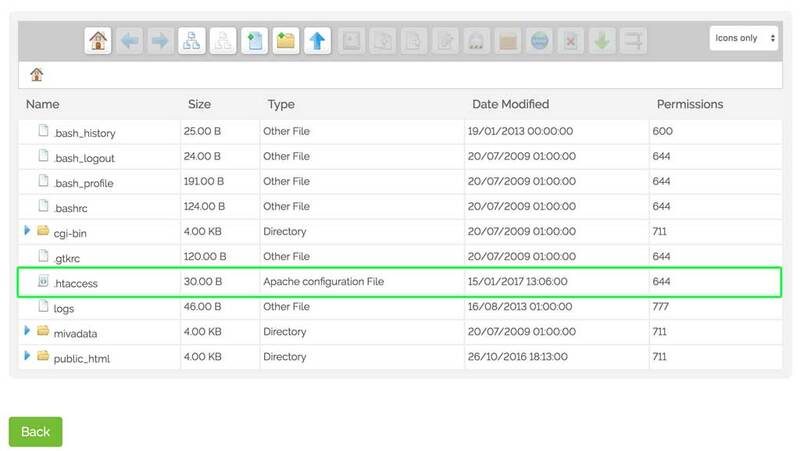 Files that start with a dot are hidden files, so make sure your particular file manager is set to show hidden files. If you host with us, your hidden files will be shown. If you are editing an existing .htaccess file, check to see if an entry exists for the PHP version. If not, add the line below. Save the file and that’s it. You’ve updated to PHP version 7. If you discover problems when using PHP 7 or you want to set your PHP to an earlier version, you just need to change the last two numbers. Upgrading your PHP version brings not just performance benefits but security enhancements too. Follow this guide to see how to switch to a newer version of PHP 5 or change to use PHP 7 using the built in hosting control panel PHP quick switcher or by adding an entry into the .htaccess file. 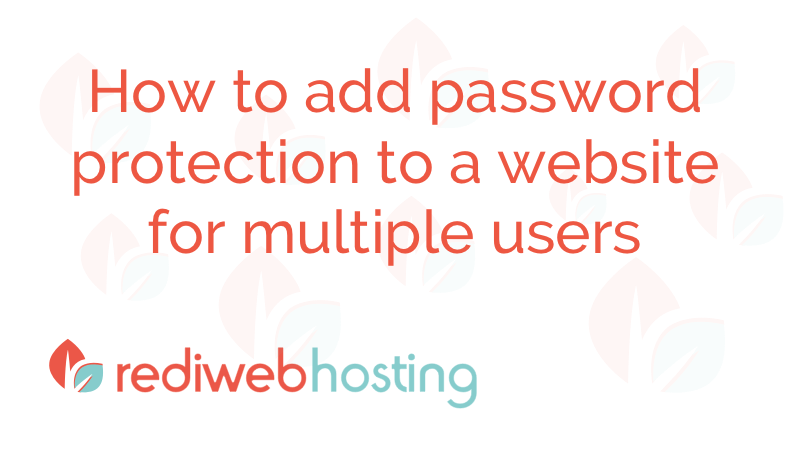 Using the Password Protection tool available in our Web Hosting control panel, you can easily add password protection to your entire website or specific directories for multiple users, each with their own unique access details. 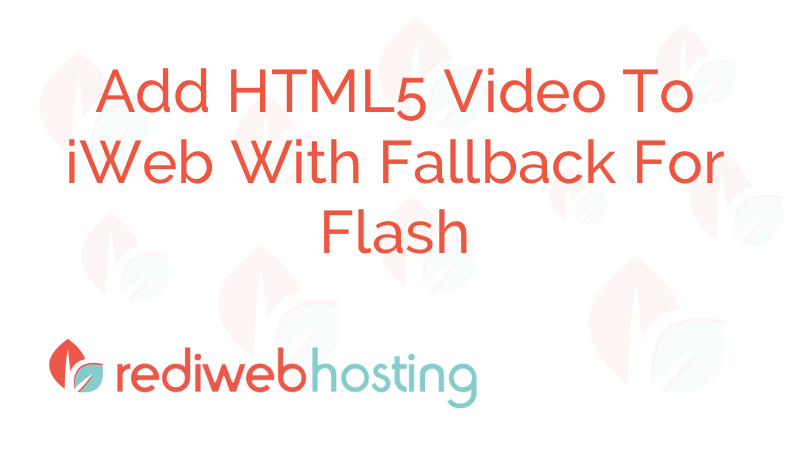 Ideal for securing a site during development or protecting paid for content. 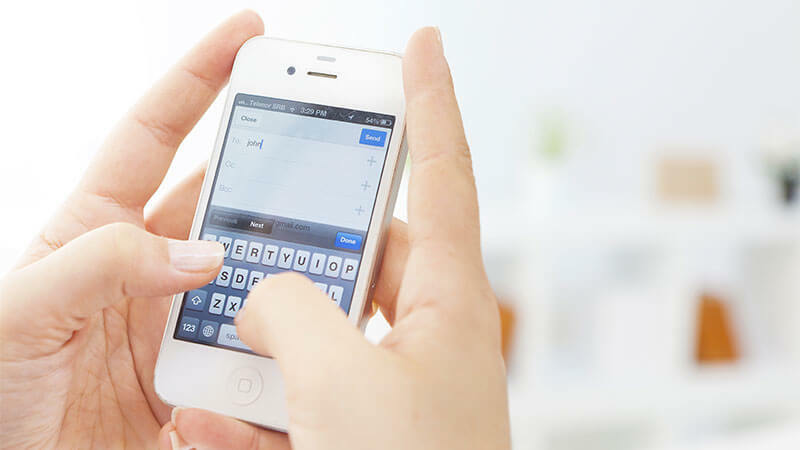 In this guide, we are setting up your iPhone Emails using IMAP. IMAP is the preferred method for receiving email on multiple devices, perhaps your desktop computer, laptop and mobile phone, as all mail is kept 'in sync'. What that means is that if you read an email on your iPhone, it should automatically be marked as read on your desktop and other devices, providing they are set up as IMAP accounts too. If you have been adding video to your iWeb Site pages, you may have fallen foul of the 'Big Blue Q Syndrome' - OK, I just made that up but it definitely feels like some sort of syndrome when all you see is the Quicktime Q instead of your Video. Here's a way to ensure your video plays nicely on all devices.